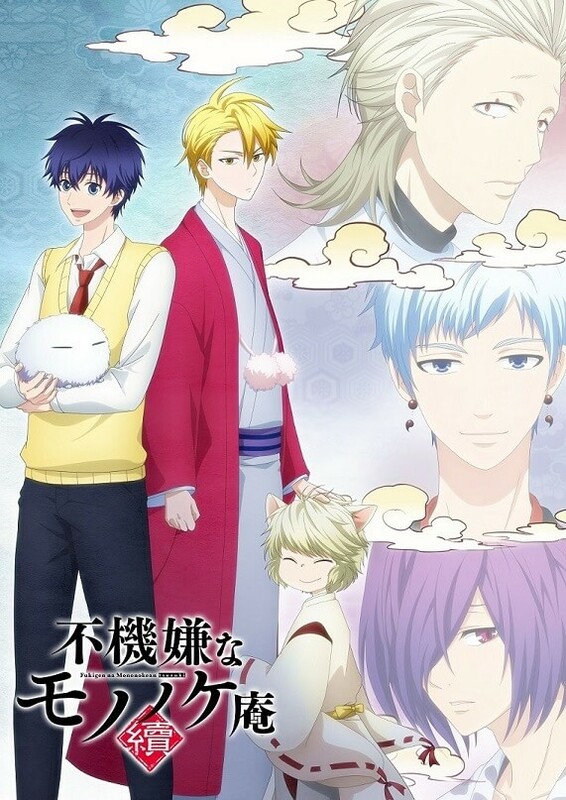 TV Anime The Morose Mononokean OP Theme to Performed by mono palette. It has been announced that the four-member male vocal group mono palette. will perform the opening theme song for the forthcoming second season of the TV anime series The Morose Mononokean (Fukigen na Mononokean Tsuzuki) which will air in January 2019. The anime is an adaptation of Kiri Wazawa’s manga of the same name which follows the story of Hanae Ashiya who comes to work as a demon exorcist, and Haruitsuki Abeno, who can open up portals to the underworld where the demons reside. It was announced at mono palette.’s solo concert “mono palette.-marble canvas-” at Shinagawa Stellar Hall in Tokyo on October 14 that they will perform the anime’s opening song. Titled Long Time Traveller, the song will release as the group’s first single on January 2, 2019 in two editions. The group also announced another solo concert titled “mono palette.-Black Paints-” which will take place at TSUTAYA O-EAST in Tokyo on December 28. Early bird tickets are now on sale. “I have been given the chance to sing the opening song of The Morose Mononokean! I read the manga before coming to sing the song. But I’m looking forward to it even more because Yūki Kaji, a voice actor I like, is playing the part of the protagonist Hanae Ashiya! Please be sure to listen to ‘Long Time Traveller’! Next » TV Anime ‘The Morose Mononokean’ OP Theme CD Cover Revealed by mono palette. TV Anime ‘The Morose Mononokean’ OP Theme CD Cover Revealed by mono palette.